My beautiful cashmere shawl was all blocked, and I wore it for the first time yesterday. I love the color, reminds me of the Lupine flowers. While this shawl is gorgeous and very soft, it will not replace my other Faroese shawl that I left on the airplane. That one I used like a scarf, coverlet, shawl, all-purpose neck wear. I will need to make another out of a more durable yarn. Perhaps Malabrigo lace. 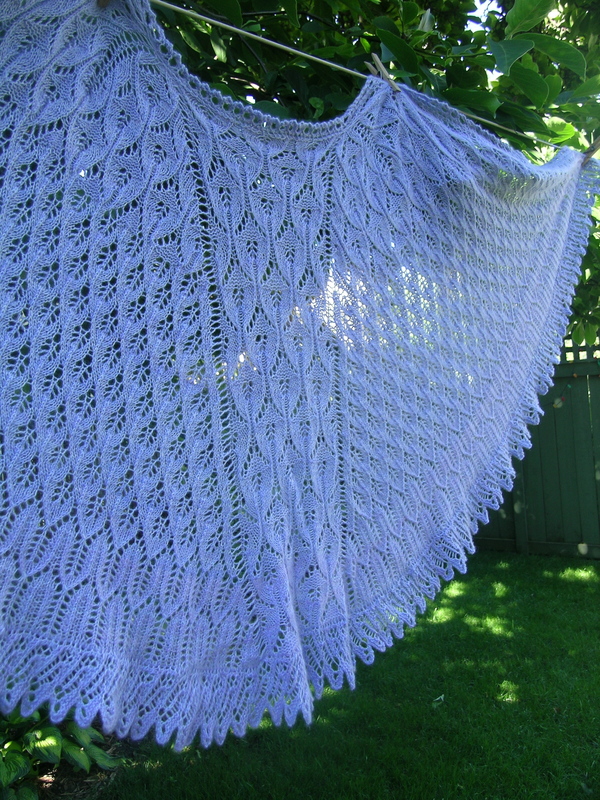 Here are the photos of my shawl hanging on the line as I did not have anyone here to photograph for me. The pattern Irfta’a by Anne Hanson is so well thought out. I would highly recommend one of her patterns just based on this one. It’s beautiful – it looks like a pair of wings hanging on the line. And the colour is lovely too. Thanks, I love this color. I can’t say enough good things about this pattern, written very well. 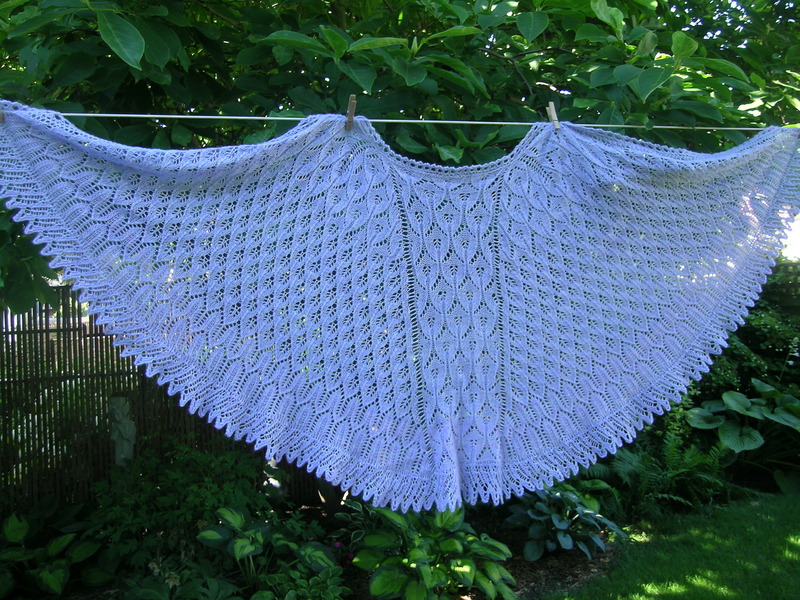 Anxious to try another of Anne Hanson’s patterns.